Following the well-known SKB Shutters case another local patent dispute has reached Malaysia’s Federal Court, this time to answer questions of law on the proper approach to be taken for the assessment of inventive step. The Federal Court’s judgement is reported as Spind Malaysia Sdn Bhd v Justrade Marketing Sdn Bhd & Anor ( MLJU 277). In the originating High Court case, the plaintiff as patent owner sued the defendants being their former marketing agent and consultant for patent infringement in respect of a competing product. The defendants counterclaimed for invalidation of the patent. Following trial, the High Court decided that the patent was invalid for lack of invention, novelty and inventive step. The issue of infringement then did not need to be decided. The plaintiff appealed, and the Court of Appeal unanimously dismissed the appeal, having concluded there was no cogent reason to disturb the specific findings of the learned trial judge that the invention was not new and lacked inventive step in particular with reference to an earlier-published United States patent. Whether for the purpose of considering whether a patented invention is inventive (or not obvious), the court is required to apply and carry out the 4-steps test from the case of Windsurfing International Inc v Tabur Marine (Great Britain) Ltd ( RPC 59) (or more commonly known as the Windsurfing test)? Whether there is a distinction to be drawn between determining the “claimed features” of the claims of a patent (for the purposes of assessing novelty and infringement) and determining the “inventive concepts” of the invention in the patent (for the purpose of assessing inventiveness)? If the answer to Question 2 is in the affirmative, whether an assessment of the “inventive concepts” of the invention is to be confined to just the claims of the patent or should be construed from reading the patent specifications as a whole and with the common knowledge of the skilled person? Although it had been covered in the course of deciding whether to grant leave to appeal in the first place, the Respondents characterized the appeal as an academic exercise or an exercise in futility. The appeal could not have the effect of reversing the decision of the High Court regardless of the outcome on the questions of law. The questions were confined to the issue of inventive step whereas the patent had been found invalid on other grounds, notably for not relating to a patentable invention and for lack of novelty. On this aspect, as a general principle the court does not determine academic questions. However, this general rule was not without exceptions for example in order to correct and clarify the position of the law stated in the judgment of the Court of Appeal. The paramount consideration is that the matter must involve a question of general principle decided for the first time or a question of importance upon which further argument and a decision of the Federal Court would be to public advantage. The court was of the view that the questions before them were of such a nature. It was also noted that SKB Shutters was the only Federal Court case decided so far on the requirement of an inventive step. Further clarification and guidance in this area of law are required. Hence, it was still appropriate to answer the questions of law, even though the invalidity of the patent would remain unaffected. Before turning to decide on the applicability of the Windsurfing test in Malaysia, the court conducted a review of the history of and rationale for having an inventive step requirement. Lack of inventive step first emerged in the case law as a separate ground of invalidation, distinct from novelty, in the United Kingdom in the late nineteenth century under the rubric of “lack of subject matter”. It was first incorporated into statute in the UK’s Patents and Designs Act 1932, which recognized a ground of revocation that “the invention is obvious and does not involve any inventive step having regard to what was known or used prior to the date of the patent”. Today, the statutory requirement of an inventive step in Section 15 of the Malaysian Patents Act 1983, as a pre-condition to be met for the grant of a patent, is to be construed in line with the relevant legislation in the Australia, the United Kingdom and Singapore. As for the rationale, the court referred to the High Court of Australia’s decision in Lockwood that the requirement reflects a balance of policy considerations in patent law – to encourage and reward inventors, without inhibiting improvements of existing technology by others. The court also emphasized that an inventive step is a requirement distinct from, and in addition to, novelty. Logically, the question of inventive step only arises where the invention is novel so that it differs in some identifiable respect from the prior art. Next, the court briefly set out the facts of the Windsurfing case and made a review of case law to assess judicial attitudes to the 4-step test that was derived from it. Overall, the Windsurfing test was seen as useful as it provided a structured approach to inventive step and avoided going straight to the issue of obviousness by reference to a general impression as to the evidence as a whole. All the same, it was noted that Singapore’s Court of Appeal had expressed some reservations, pointing out that the test had been criticized as over-elaborating the statutory definition. Thus, the test was regarded as no more than a useful guide. Nevertheless, the Singapore Court of Appeal had observed that the Windsurfing test “appears to be here to stay”. ” We find merit in the Windsurfing test as a good starting point for analysing the issue of inventive step. The structured test offers a useful framework for considering the various factors involved in the assessment, and provides some clarity of reasoning and consistency of approach. That said, we agree with the caution noted in First Currency Choice [by the Singapore Court of Appeal] against over-elaborating the statutory requirement. While the four-step test will be a helpful guide in most cases, the individual steps should not be taken as set in stone and mechanically applied, especially where the evaluation of a straightforward factual scenario may be derailed by ancillary debates on niceties. The court must always bear in mind that the ultimate question, expressed in section 15 of the Patents Act 1983 and contained in the fourth and final step, is simply whether the invention is obvious to a person having ordinary skill in the art, having regard to the prior art. (1) Identify the inventive concept embodied in the patent. (2) Assume the mantle of person [sic] having ordinary skill in the art, and impute to him the common general knowledge at that date [sic]. (3) Identify the differences between the prior art and the alleged invention. As for Questions 2 and 3, after a review of the relevant case law, the court was left in no doubt that the inventive concept was to be distilled from the claims, not generally from the specification as a whole. Further, the court rejected a suggestion that the “problem and solution” approach be adopted for the purposes of determining the inventive concept. 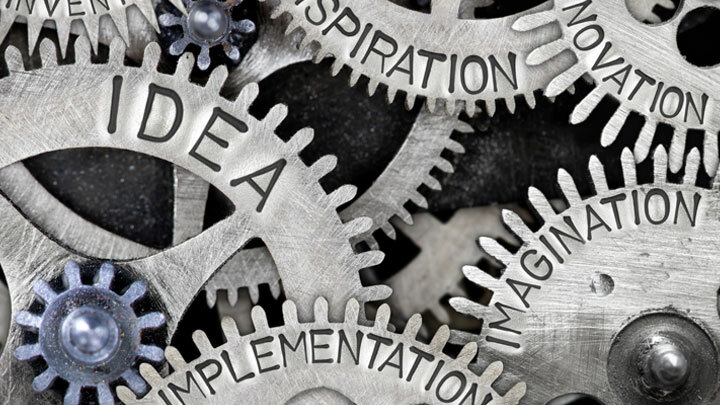 Based on the requirement of Section 12 that defines the meaning of invention in terms of problem and solution, the Federal Court was of the view that applying the same approach to inventive step under Section 15 would conflate two distinct statutory requirements. ” Based on the discussion above, we answer Question 2 as follows: in determining both the scope of the claims for assessing novelty and the inventive concept for assessing inventiveness, the court must look at the claims in the patent. However, the inventive concept is not one and the same as the claims; it is the core or essence of the invention. Overall, this careful guidance from Malaysia’s apex court is to be welcomed. It provides a clear signpost to the route to be taken in the majority of cases when assessing one of the most difficult and contentious aspects of patentability.